New Plymouth trainer Emma Davies is fast building an impressive strike-rate of winners to starters. The talented horsewoman picked up her third winner from just seven runners when That’s Incranibull took out a $10,000 maiden 1350m race at Waipukurau on Thursday, the horse following on from a debut third over 1340m at Wanganui in January. The only other horse Davies has racing at the moment is Gerda who has had four starts since December 20 for two wins and two seconds. 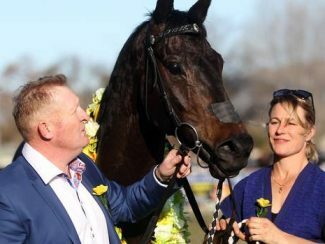 Davies, who is the partner of successful trainer Allan Sharrock, was granted her permit to train licence just before Christmas and has only had one other horse to the races. “That was Bits And Pieces. She won a race at the beginning of December but was in Allan’s name then. I’ve given her one start and she’s spoilt my strike-rate a bit because she only finished seventh at Hastings on New Year’s Day. Bits And Pieces was given a freshen up after that run and Davies said she has just come back into work. Meanwhile Gerda, who scored an impressive 3 length last start win over 1600m at Trentham, is now expected to start in a $25,000 Rating 72 race over 1600m at Awapuni on April 5. “She’s going to strike a pretty good field there but she has trained on real good since her last run,” Davies said. She is unsure what the immediate future holds for That’s Incranibull, saying the lanky Cape Blanco three-year-old will get better with more time and over longer distances. Sharrock paid $17,000 for That’s Incranibull from the Select session of the 2017 Karaka yearling sales and also bought another yearling at the same time, giving Davies the option of which one she wanted to train. “I chose this one (That’s Incranibull) because I’ve always liked him and he is quarter owned by the stable staff. 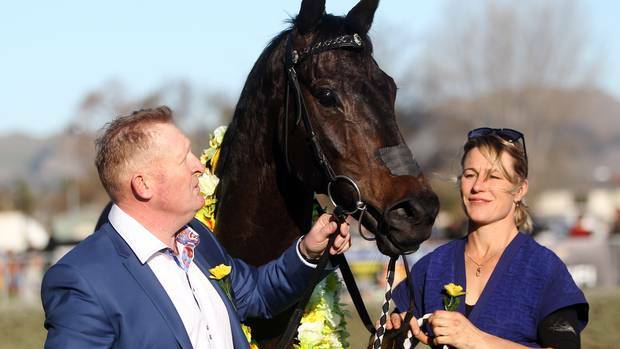 Allan has also got a quarter share along with some of his good stable clients,” she said. Davies has been an important part of the Sharrock stable for a number of years and regularly rides several horses in trackwork of a morning. She was also the devoted strapper of former stable star Kawi, whose 15 wins included seven at Group 1 level.